“Eden has been locked away and left to rot,” says Perry Collins, a London cab driver. 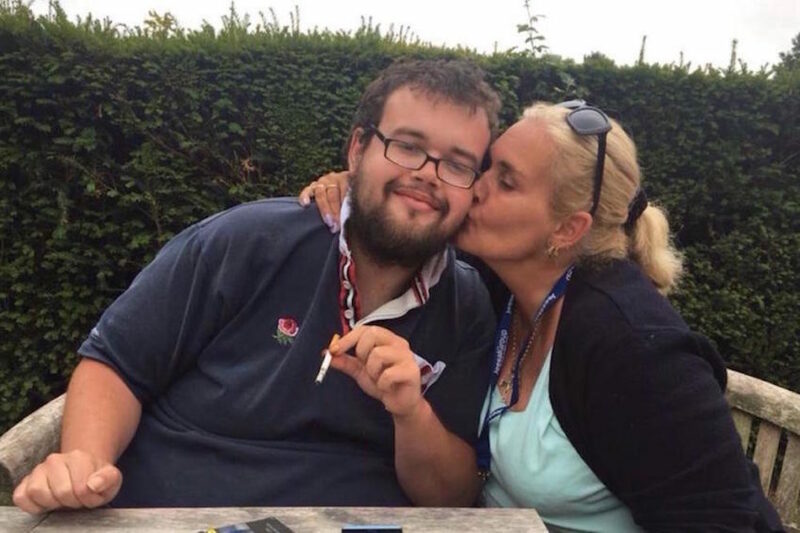 Collins is speaking of Eden Norris, his 26-year-old stepson, who has autism and learning disabilities and lives in a locked, privately owned facility nearly 200 miles from the family’s West London home. Norris has spent nearly nine years in institutions, with only brief periods of living outside. His mother, Deborah Evans, is also disabled, due to incapacitating anxiety and panic attacks. The family is only able to visit Norris every two weeks because it’s a 13-hour round trip to his facility in Norwich. Norris was voluntarily institutionalized when he experienced a crisis at the age of 17, which was worsened by lack of adequate professional support. He became extremely anxious, needing care his family could not provide at the time. This is not unusual—many young people falter when they transition from child-centered support in the formal education system into a patchier and cash-strapped system of support for disabled adults. This transition period is when many—like Norris—are most at risk of being institutionalized. Inside poorly managed and underfunded facilities, many residents become distressed and act in challenging ways. The staff, who may be poorly paid and trained, often lack the skills to help them. Instead of receiving the support they need, patients are routinely restrained, overmedicated and segregated in cells, which they cannot leave for days, even months. Although patients may have entered institutions voluntarily, they’re often not able to leave voluntarily. In Norris’ case, he was kept in long-term segregation in his first institution, where he had what his mother describes as “some meltdowns.” The staff, in reaction, pressed charges and applied successfully for a section 37 of the Mental Health Act, which “sections” a person, or allows involuntary institutionalization for an undefined period of time. After an intense effort by his family, Norris was released briefly in December 2017 to live in a supported-living residence in London. Norris’ parents feel he didn’t receive adequate support and continuity of care in that residence, and although they provided support themselves, the placement broke down when Norris’ anxiety returned. He was returned to the hospital after a few weeks. If their children have been sectioned, parents aren’t allowed to remove them from institutions without the approval of a psychiatrist or other responsible clinician. If patients do manage to leave, many are so traumatized by their experiences in a facility that they have more crises outside, and they end up back in inpatient settings. Some parents who have expressed concern about institutional conditions have been threatened with court orders. Jeremy (whose full name is being withheld for privacy and family reasons) has highlighted the case of his daughter Beth on social media and the BBC. Beth, who has autism, has been held in seclusion in a facility for 23 months. The staff deemed her such a risk that, despite a lack of corroborative evidence, she was fed through a hatch. She is currently sectioned under the Mental Health Act. Jeremy’s local council, or governing authority, threatened him with a gag order when he tried to publicize her plight, but the council later backed down. After a public outcry, Jeremy met with Matt Hancock, the U.K. health secretary. Beth’s case is being reviewed, and the family is campaigning to move her nearer to home and out of seclusion permanently. Critics, including disabled people and their families, warn that while things may change for individuals whose cases reach the media, the system remains the same. Hancock has asked for a review of the seclusion system for people with disabilities, but many Britons—partly because previous initiatives have failed—are pessimistic that conditions will change radically. The situation wasn’t supposed to be this way for patients and their families. After an outcry following a BBC investigation of abuse at the privately run Winterbourne View care home in 2011, the government promised to move people out of expensive ATUs where some people had been held for years. The cost of each placement was heavy then—more than $200,000 per year. It’s now even more expensive. British citizens can access health care free of charge through the National Health Service (NHS). It runs and pays for ATUs, but local councils pay for care in the community. Critics say this payment system is one reason people spend so long in institutions. 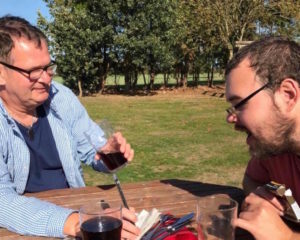 These critics feel that local councils, which are often strapped for money, hesitate to pay for community-based care when they can shift the costs to the NHS instead. 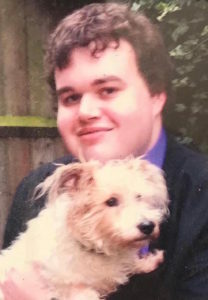 As the government slowly developed its ATU closure policy, other abuse scandals and tragedies followed, including the preventable death of 18-year-old Connor Sparrowhawk (known as LB), who drowned in a bath at an NHS facility in Oxfordshire in 2013. The Justice for LB campaign fueled demands for action and accountability regarding the treatment of people with disabilities in institutions. In October 2015, the NHS and local government leaders published a $58 million plan, known as Building the Right Support. Under the plan, March 2019 was to be the closure date of England’s last NHS hospital for people with learning disabilities. It was also the date nearly half the 2,600 beds in ATUs would be eliminated. The government pledged to invest more money into community living instead. The community living model covers a range of options including supported environments in which disabled people live together with professional help; independent living in which disabled people can choose their own care providers such as personal assistants; and living without support in any kind of accommodation. This model tends to be less expensive than institutionalization, and it promotes inclusion in the community. But the ATU closure process has stalled. Throughout the U.K., an estimated 3,000 disabled children and adults still are housed in ATUs and similar inpatient settings. The facilities are designed for short emergency stays, but many people remain for long periods. NHS data shows that people with a learning disability or autism who are sent to such units stay for an average of 5½ years. A recent news investigation found that 40 disabled patients have died in ATUs in just 2½ years. Nine were under 35 years old. The institutions in which they died were scheduled for closure years ago. A significant worry is caused by the fact that the number of children and young people in the system is increasing. A study by the Challenging Behaviour Foundation shows the number of children with a learning disability or autism in inpatient units grew from 110 in March 2015 to 230 in April 2018. Simone Aspis, who has learning disabilities, is a “self-advocate” who challenges the institutional role and supports patients who want to leave locked facilities. “The route into these institutions for young people with autism and learning disabilities is too easy,” Aspis says. She explains that the proof used to section patients is often based on behavior that is different and deviates from the norm, rather than on aggressive behavior. “A lot of young people … don’t get the support they need, their behavior gets difficult—and then they get sectioned,” she says. As in the U.K., the concept of independent living for disabled people has become embedded in policy in the European Union and farther afield, but the reality of institutionalization remains dire. In the U.K., community living initiatives have freed many disabled people, leaving those with learning disabilities and autism at risk of being locked away. However, in many EU countries, people with a range of conditions, including sensory and physical disabilities, remain in institutions. More than a decade ago, the EU committed member countries to a deinstitutionalizationinitiative based on “shared European values of human dignity, equality and the respect for human rights.” The goal of the initiative was to transition disabled individuals from residential institutions to community-based care. In 2014, the EU limited European Structural and Investment Funds to some member states, unless those states moved more residents into community living. Those member states—mainly in Eastern Europe but also including Greece—were forbidden from using two key EU funding pots to build or renovate institutions. Billions of euroswere spent on the initiative, but success was limited. Human Rights Watch recently reported that, in the name of care and treatment, children with disabilities remain locked away, neglected and abused, restrained and malnourished throughout Europe. Central and Eastern Europe have the largest proportion of children in institutions in the world. The rate of placement in formal care in these regions is alarming. In Hungary, large facilities with poor human rights records are scheduled for closure, but the government plans to build smaller facilities rather than move residents into the community. Human rights groups have protested this, but the European Commission has thus far refused to suspend funding. In Greece, the children’s charity Lumosreports that children, many of whom have disabilities, are still being physically restrained and abused in institutions, with some even being caged in beds. In Belgium, more than 5,000 disabled adults and children are being warehoused in poor conditions on behalf of the French state. French parents complain that their children are sent to Belgium and they are not offered alternative placements. Even the policy of transitioning institutional residents to community-based care is in danger. As EU budget negotiations currently take place, proposed rules no longer make it a priority to promote the transition for people with disabilities. This means that building or renovating institutional care facilities could once again be eligible for funding, which would work against community placements for disabled people. Organizations that campaign for the end to institutions in Europe are pushing back before the budget is set. European Structural and Investment Funds play a pivotal role in motivating and supporting the transition from institutional care to community-based living. Advocates of community living are horrified that the clock may be turned back and money earmarked for social inclusion may be used to segregate people with disabilities. In the U.K., an additional factor contributes to keeping institutions open: the profit motive. While the British government runs many institutions via the National Health Service, some large corporations—including two U.S. health care companies—also run private-sector institutions in the U.K., and those facilities need clients. Eden Norris, for his part, has spent more than one-third of his life in locked institutions, despite having committed no crime. Perry Collins says the family has been told Norris may be able to leave soon to live in a homier setting nearer his parents. But that would be on a trial basis; because he has been sectioned, he can be recalled and locked away again. This entry was posted on December 12, 2018 at 7:30 pm and is filed under Uncategorized. You can follow any responses to this entry through the RSS 2.0 feed. You can leave a response, or trackback from your own site.